There is no doubt that we are doing some fun things with our personal devices these days. We can share comments and content instantly through social media using our smartphones, send large files speedily over the internet, view security cameras in our home on holiday and watch our favourite shows in full streaming HD. While we are living in good times and enjoying the best in cutting edge technology, spare a thought for the network working hard in the background to make it all happen. If you have a decent router and a well-planned home network then it should perform well enough to cope with several people accessing the internet at the same time and multimedia, but as we move more to HD streaming across all devices it will soon become pushed to the limits. But fear not avid streamer – the new 802.11ac standard of wireless is ready waiting around the corner to help tackle these issues and help your network deal with whatever the next technology has to throw at it in the foreseeable future. 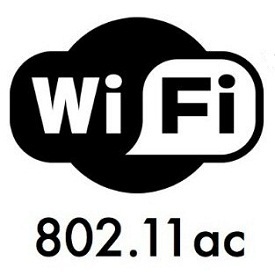 The new 802.11ac standard of routers and other devices promise much greater speeds – exceeding speeds of one gigabit per second – easier set up, clearer connection and greater coverage across the home. As such, 802.11ac is ideal for wireless HD and 3D streaming and can make sure the “buffer circle of death” becomes a thing of the past. So if you are worried you are too demanding on your home network, soon you can get back to enjoying all your devices at home guilt free, with 11ac. This entry was posted in Consumer and tagged 802.11ac, Routers, Wi-Fi, Wireless by D-Link UKI Blog. Bookmark the permalink.